Product prices and availability are accurate as of 2019-04-25 11:17:25 UTC and are subject to change. Any price and availability information displayed on http://www.amazon.com/ at the time of purchase will apply to the purchase of this product. Compatible with all types of PDFs. Comprehensive viewing and navigation tools. Scan to PDF enables users to create searchable or image-only PDF documents. Annotate PDF documents, including Sticky Note, Re- place Text, Insert Text, Highlight, Underline, Strikeout, etc. 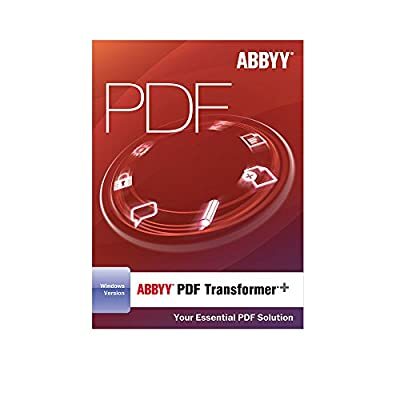 Easy PDF page management with functions including insert, delete, rearrange pages and create blank pages. Insert, move, crop and rotate an image within a PDF.